Twelve feet of food on our rustic, antique sideboard gives you plenty of space to serve a lovely array of delicious palate pleasers. 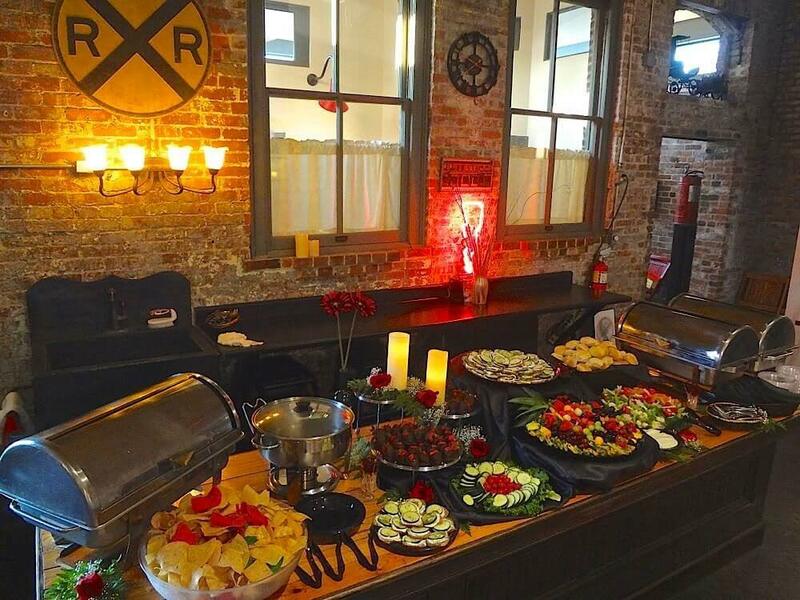 Whether the Firehouse handles your catering, you bring in your favorite chef or all your aunts and grandmothers whip up some hearty fare, our Buffet area is simple to set up, has plenty of surfaces and a sink with lots of storage down below. 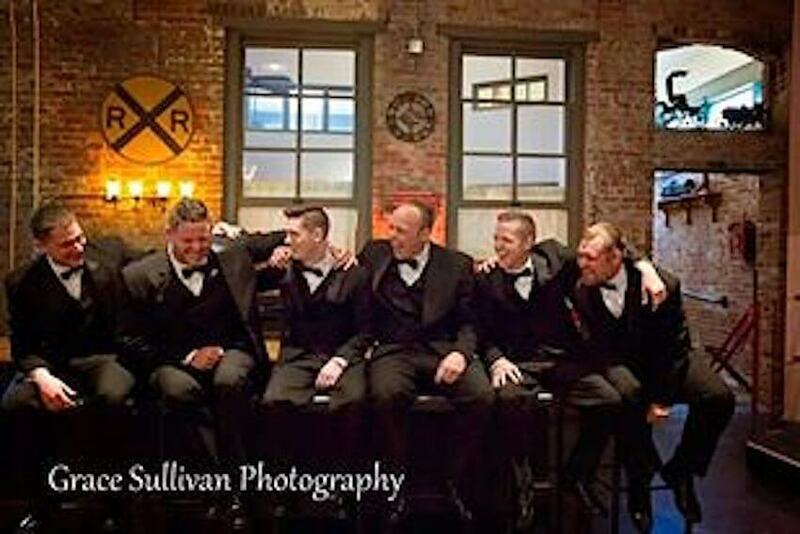 Not on the menu, these groomsmen are proof of just how great the Firehouse is for photographers; they claim it’s impossible to take a bad photo at our Historic Firehouse No2!